We are committed in improving quality of life of the individuals we serve which to us means, choice and preferences. We believe services and supports must be provided in an ethical manner, have empirical outcome measures, and draw from clinical as well as person centered planning and approaches, with an emphasis on staff development. We believe that success is a shared responsibility, which emphasizes collaboration with other pertinent community agencies, families, and contractual professional staff. The emphasis on open communication to build lasting relationships and partnerships with people and families served, other community agencies and professional staff that meet the needs of the individuals. We provide services and supports based on integrity, trust, and respect, coupled with the professional standards and principles that have wrought our service industry historically. We approach crisis and transition services and supports with determination and innovation, with the goal of continually improving the quality of services that we provide. 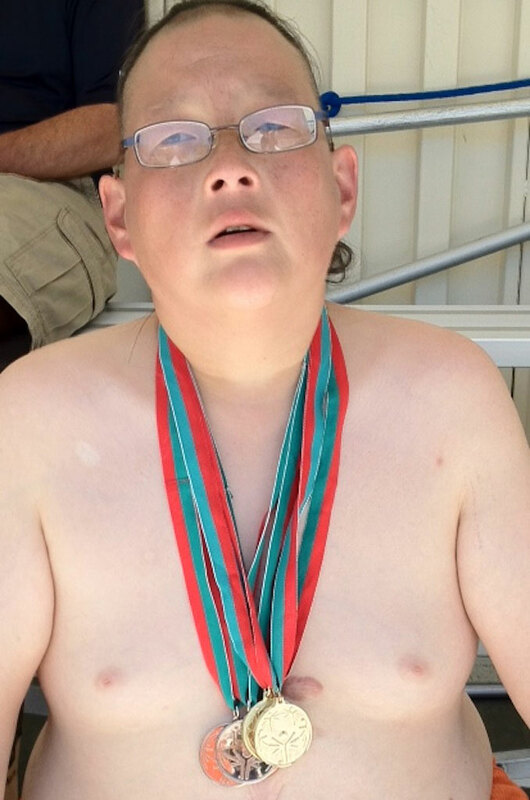 Jeff, silver medal winner at the 2012 Special Olympics.